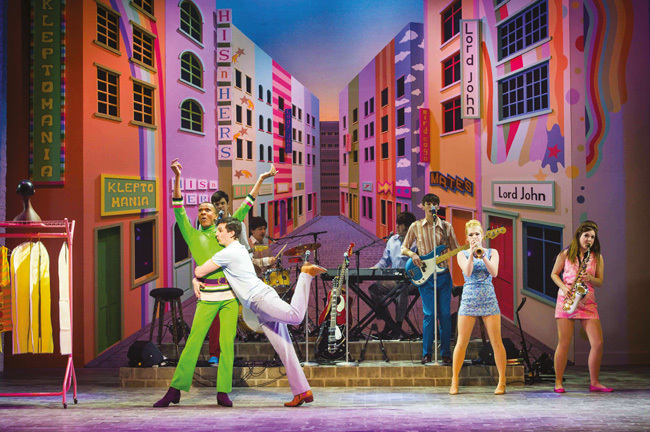 I admit my first thought when I heard of Carnaby Street the musical was “Dear God, not another pointless jukebox musical!”. The show didn’t get the best reviews during the first part of the tour which I missed out on. But since I do like to make up my own mind I decided to catch the show in Woking last week. Apparently there have been quite a few changes to the show resulting in a running time of 2 hours and 45 minutes including interval (about 10 minutes more than the original version). The first thing you notice is the amount of songs that have been cramped into those 2.45 hours. There are A LOT of them – too many if you ask me. Don’t get me wrong, generally the songs are great! The problem is the story gets a bit lost in between all those 60s tunes. I ended up thinking someone must have been trying really hard to put as many songs as possible into one show and write a rather random story around them. Speaking of the story – it’s there and it’s not as bad as I anticipated. A singer/songwriter/musician from Liverpool (Jude) travels to London with his friend Penny with the ambition to become a star. 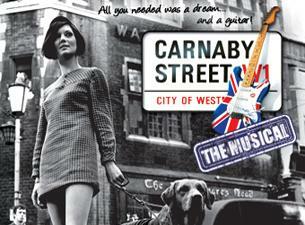 On Carnaby Street he meets Jack and Wild Thing and joins the C-ST band. But Jude wants more and through various twists in the story (all quite forseeable) gets signed by Arnold Layne’s record label. He reaches stardom but forgets his friends along the way – but of course there’s a happy end because shows like this always have one. Oh, and there’s love and heartbreak involved, too. What makes this show enjoyable is the talented cast. Stand outs for me are Jonny Bower as Jude, Tricia Adele-Turner as Jude’s love interest Jane and Hugo-Harold Harrison as Arnold Layne. Jonny Bower has a truly fantastic voice and plays Jude with a boyish charm that is hard to resist. Tricia manages to portray Jane with just the right mix of self-assurance and vulnerability. And Hugo is just wonderfully mean as Arnold Layne. 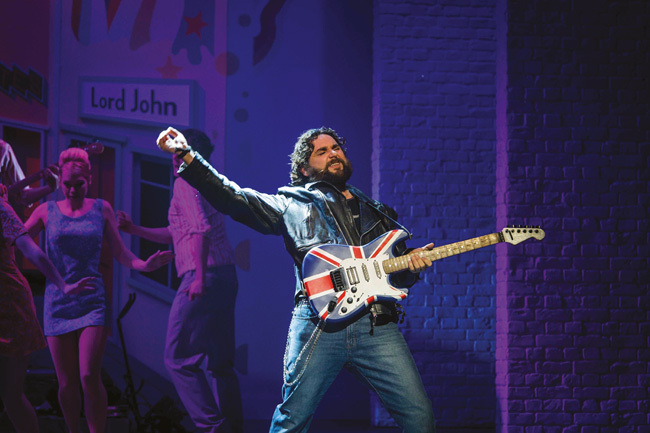 Mark Pearce shows off a true rock voice and Aaron Sidwell does a great job leading the audience through the storyline. I’m not too convinced by Paul Hazel’s character Lily The Pink. Do we really need yet another stereotyped cross-dressing gay guy on stage? Obviously that is not Paul Hazel’s fault and he makes the best of the material he has been given. Then there’s Gregory Clarke’s character (Al – Newspaper Seller) whose purpose escapes me. Yes, those thrown in 60s headlines are amusing – some of them at least – but for me they makes the story look even more randomly put together. Special mention goes to the ensemble who does a great job. Those guys and girls are running around constantly playing various characters, carrying scenery on and off stage and dancing their socks off. I especially enjoyed James Winter’s Tom Jones – I won’t go into detail here, you have to go and see for yourself. 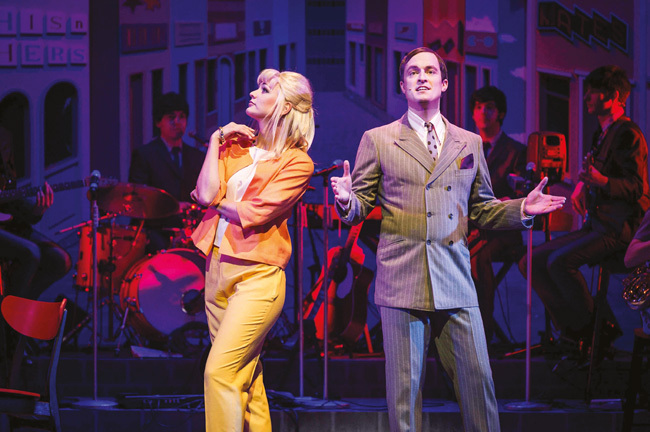 In the end Carnaby Street is a 6os jukebox musical – not more and not less. If you like the music of that era and want to see talented people in a “Best of 60s” performance you will have a good time watching this show. If you are looking for a challenging story with complex characters this one most likely won’t be for you. It was a bit of a shame to see so many empty seats in the theatre. Hopefully the tour will attract larger audiences during the rest of the run. It may be no innovative piece of musical theatre but it is a fun night out and the cast deserves to be seen by more people.